About 4 1/2 years ago, our late and much-missed dog Hudson landed a role in an independent film called Nasty Baby, which Sebastian Silva was filming down the street from our apartment. This led to a few weeks where Jen and Hudson spent long hours on the set, and I would sometimes visit briefly while staying at home with our frail older dog Chloe. The antagonist in the film was played by Reg E. Cathey. If you see it, he plays a frightening and belligerent character. Proof he was a splendid actor, because he was the most warm and charming presence on the block with the cameras off. Kind to our dog, and friendly to me when I would drop a dog bed off during a long shoot. Meeting him was a highlight of our experience with the film, not because of his impressive acting resume, but because he was such a nice man. All this made news of his death last week particularly sad in our household. He leaves behind some terrific performances and, no doubt, many, many friends. This entry was posted in Uncategorized on February 13, 2018 by Carl Zimring. On an error in my New York Times essay: Where the “death every day” mistake originated. The online version of my New York Times op-ed on the perils of waste work has been corrected and eliminates the error discussed below. I owe the readers, the Times, and all involved in waste handling occupations context for the original error that was corrected. In my essay on waste work in the Saturday Times, I made an error obvious to sharp-eyed readers: 31 deaths of refuse and recyclable material collectors in 2016 (according to the Bureau of Labor Statistics) does not equal one death every day. The error is inexcusable but has an explanation: my research covers waste-related work in several occupational categories ranging from janitorial services and laundry work to salvage yards, and in my notes I used in developing the essay I consulted BLS data for the larger category: “administrative and support and waste management and remediation services.” The number of deaths in that category (including the refuse and recycling workers, and also related categories including janitorial and cleaning work — excluding maids and housekeeping cleaners — and hazardous waste remediation, among other occupations such as landscape maintenance and pest extermination) in each of the years between 2013 and 2016 range between 360 and 458, a number that sadly meets the death-per-day rate as expressed in the published essay. Among the 2016 deaths within this category included the following subcategories: 16 in janitorial work and 67 in waste management and remediation services. In my mind, I was thinking of all of these workers when approving the final wording of the essay. However, that thought remained only in my notes and my mind: I made no reference to the above data in the essay or sources I gave the Times (nor did I provide distinctions in the “administrative and support and waste management and remediation services” category between waste-related occupations, and, for example, landscaping services). Responsibility for this error is mine and mine alone. I regret the error because it detracts from my point that we must recognize and protect the often-overlooked workers who handle wastes. In doing so, I myself obscured the deaths of the workers who perform the various waste-related tasks described in this letter, while presenting an assertion that did not match the data for refuse and recyclable material collectors. I write this letter to recognize those workers in the conversation that no doubt will be generated by my error. This entry was posted in Uncategorized on February 12, 2018 by Carl Zimring. Monday is Labor Day, and many workers in Houston are risking their lives and health to clean up flooded and contaminated areas. Please think of them this holiday weekend. I want to observe this day with a reminder of Dr. Martin Luther King’s quest to ensure that all workers’ dignity be respected. This post includes material from Chapter 8 of my book Clean and White: A History of Environmental Racism in the United States (newly available in paperback). Today, the Memphis strike is part of the lexicon of American politics. AFSCME proudly places the strike in a central place in the union’s history. 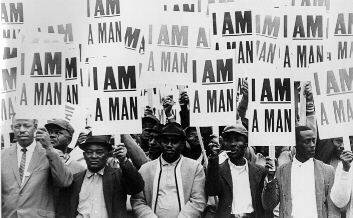 The union’s depiction of this part of its history puts workers in the forefront of the history of the civil rights movement, and civil rights activists in the forefront of the labor movement. 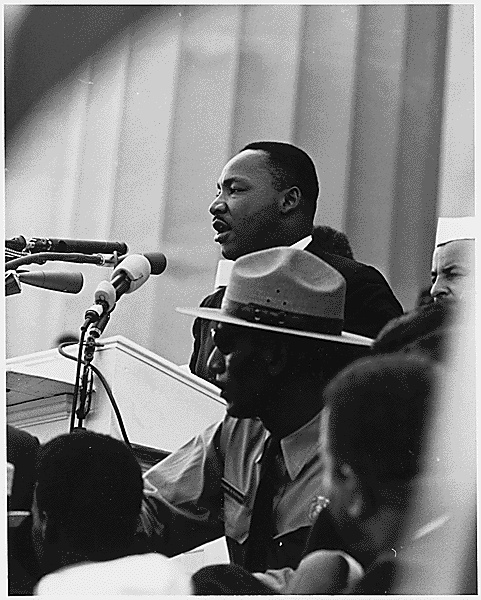 As David Roediger has discussed, such a relationship was not always possible in American history, but it is part of the dream Dr. King explicitly hoped for in the weeks before his death. Moreover, contempt for the people who perform the dirty work necessary to keep our streets, homes, and workplaces endures. This is the first Labor Day held since Donald Trump took the oath of office as President of the United States. During one of the 2016 presidential debates, Hillary Clinton raised Trump’s insult of Latina beauty pageant winner Alicia Machado as “Miss Housekeeping” as an example of his intersectional bigotry towards women and Hispanics. That Trump demeaned Machado by associating her identity with domestic cleaning work reveals the power of how work, whiteness, and waste have intertwined in American society. The events in the presidential elections that brought the United States’ most explicit symbol of white identity politics to the White House show the enduring influence of white supremacy on how we see and shape our waste management practices. Sixty-three million Americans voted to elect Trump president despite his overt racism. Trump’s words are crude, but reflect how expressions of white identity in the twenty-first century result from how we have normalized waste work as nonwhite work over the past two centuries. Confronting this history is an important step in dismantling the enduring structures of environmental racism. The residents of Afton, North Carolina failed to prevent the dump’s siting, but in the months and years that followed, the environmental justice movement emerged to fight back against the decades of discrimination that made shunting the dirty work of garbage collection to blacks “normal” in Memphis. The rhetoric and tactics used in the Memphis strike influenced the activism of the environmental justice movement. Though that movement has evolved and grown over the past four decades, it owes debts to the sanitation workers who decided that enough was enough in February of 1968. This entry was posted in Clean and White, history, Uncategorized on September 3, 2017 by Carl Zimring.